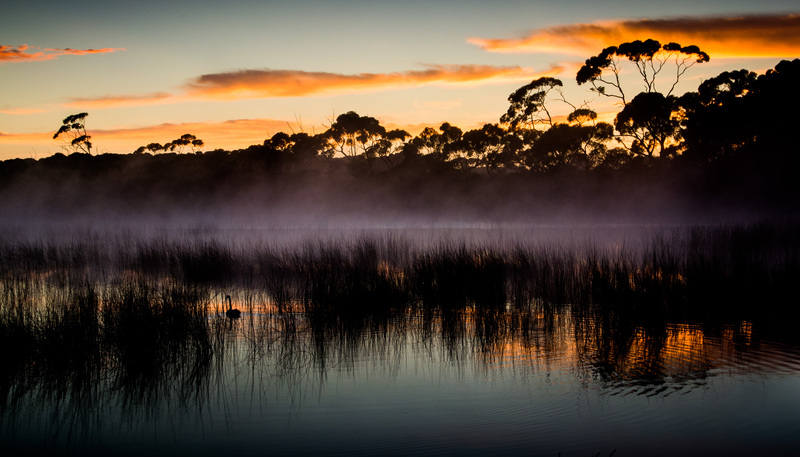 Although I only managed to live on Kangaroo Island for 6 weeks it was just the best time. My photographic bird book got off to a good start, I was able to stay on several stunning south coast properties and document their ornithological treasures. 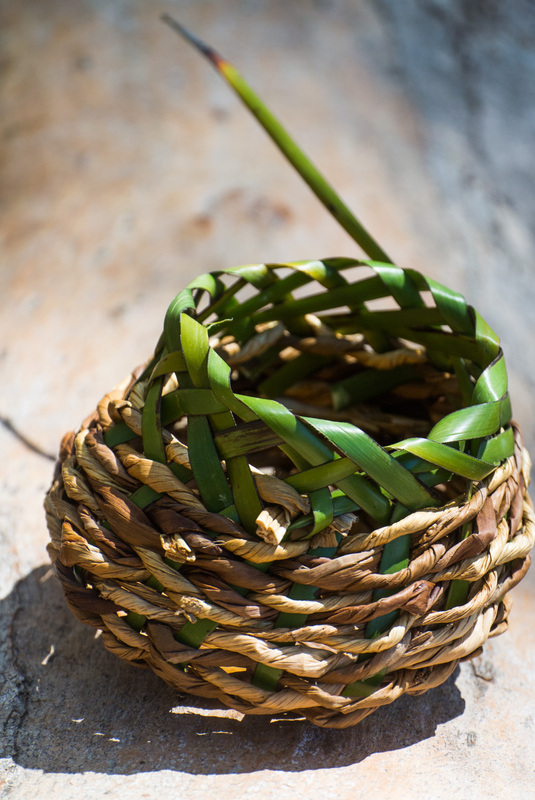 I also went hard with my basket weaving, producing at least one basket a day and greatly improving my skills working with a variety of new natural materials. Every day was total indulgence, starting with yoga and filled with swimming, fishing bush walking and bike riding adventures. I spent the majority of my time at Montebello, a pristine 1100 property surrounding a massive lagoon. I fell in love deeply with this place when it was on the market 5 years ago and was heartbroken when it sold. The new owners, Colin and Rujee Duke, a Pharmacologist and Medical Researcher couple from Sydney, picked up the property to protect, and pursue their research into the unique healing properties of the local propolis. 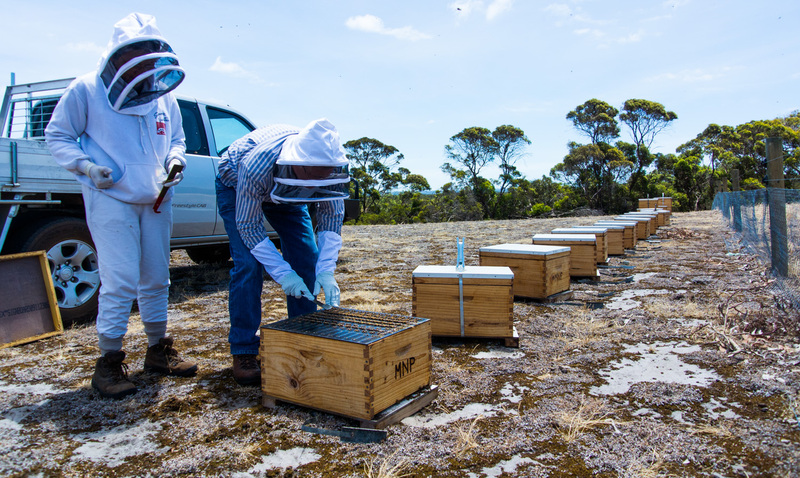 They had generously allowed me to stay for as long as I needed and I was able to assist them with some bee keeping and maintenance tasks. The plant that gave the propolis its unique qualities was Sword Sedge, which happened to also lend itself very well to basket weaving. Combining this plant with reeds from the lagoon I came up with a basket design called the Montebello, of which I made about a dozen. I gave most of them away but one made its way into a local gallery, Rustic Blue, and actually sold, in my first sale as a weaver. The Montebello-Reed and Sword Sedge basket. Eventually work on the mainland beckoned so I loaded up my bicycle and trailer and headed back to Adelaide, to join The Rover. Writer/ director David Michod hit the jackpot with his debut feature Animal Kingdom, produced Porchlight Pictures, a regular client over my career. His Animal Kingdom cast had enjoyed massive career boosts from the films local and international acclaim, and everyone was waiting to see what David would do next. The production rolled into my hometown Adelaide, bringing with it actors Guy Pearce and Robert Pattinson, before heading off to shoot in the extremely remote and dangerously hot far north of South Australia. The prospect of working in that environment at this time of the year, with daily temperatures expected to be around 50 degrees, scared off many experienced local crew, but a brave crew was assembled and the film making road trip commenced. On location my basket weaving also had its moment when I found myself teaching a class to some curious crew members during a delay caused by heavy rain. The town had not had rain for more than a year until we arrived, a common film crew blessing for the locals, and curse for the tightly scheduled productions. It was satisfying to see the enthusiasm in my students eyes, two of them quietly sneaking off to construct second baskets during the afternoon, enjoying being arty and the attention it brought them. The word got around among the crew and I needed to schedule a second class. My first basket weaving class. Working part time on a production and being able to come and go can be one of the assets of the stills photographer job. Working full time for weeks on end can leave you creatively numb and can make maintaining relationships at home very tricky. On one of my breaks back in Adelaide I teamed up with my partner Ky Alecto on a project working with the permanent residents of Brighton Caravan Park and their fight against a sudden and aggressive eviction. Ky’s mum, Marilyn Pearson, was among the 40 soon to be displaced individuals, some of who had lived in the park for 15 years, and she was leading a brave fight. They were a strong, diverse community thriving in a time where healthy communities seemed rare, and they deserved to be supported. It was my first social documentary photography project for many years and I loved meeting all these people, doing photographic work with a social value again. With less than a day between projects, I finished up in the desert on The Rover and then head straight up to Australia’s tropical far north to work with Rolf de Heer on Charlie’s Country, in what will be our 6th film together. Rolf must be Australia’s most prolific and interesting film makers and his projects are always completely different and a pleasure to work on. 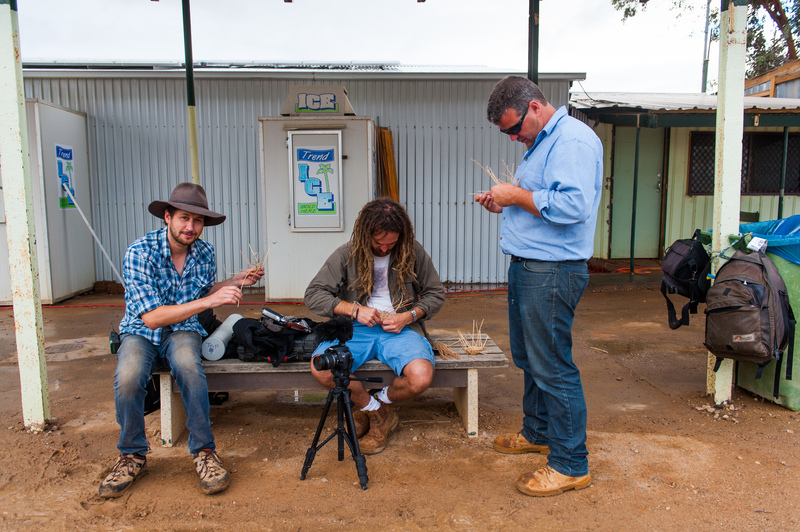 Staring the legendary indigenous actor David Gulpilil, we will be spending the majority of the shoot in Ramingining, David’s ancestral land, working closely with his community. I will be shooting the stills, behind the scenes video whatever other jobs need doing as part of Rolf’s super minimal crew. It will no doubt be another amazing film making adventure in what is shaping up as a very busy and interesting year.